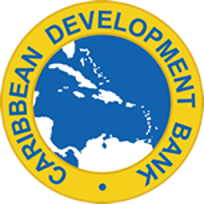 Bridgetown, Barbados – The Caribbean Development Bank (CDB), in keeping with its view that investment in education is critical to sustainable development, has updated its Education and Training Policy and Strategy (ETPS). The revised ETPS is designed to improve learner outcomes and to produce a qualified, capable and representative workforce of diverse individuals. Further, it aims to reduce poverty and achieve inclusive social and economic development for the region. Daniel Best, director of projects at CDB, said the revised ETPS takes into consideration the challenges CDB’s borrowing member countries (BMCs) continue to face and the issues on which the bank must focus as it responds to these challenges. Access, Equity and Participation: Development of education and training systems, which provide for equitable access and participation across all levels of the system. Efficiency, Relevance and Effectiveness: Enhanced efficiency, relevance and effectiveness of education and training to create systems which are responsive to national, regional and global labour markets. Governance: Strengthened capacity to reform and manage education systems for the purpose of enhancing student outcomes. Once implemented, the strategy is expected to lead to high-quality, inclusive education and training from early childhood development through to post-secondary and tertiary levels, and lifelong learning opportunities which produce improved learning outcomes consistent with national and regional human resource development needs. This is in keeping with Sustainable Development Goal 4: Ensure inclusive and equitable quality education and promote lifelong learning opportunities for all. In addition, the bank, through the strategy, aims to reduce systemic inequities and inefficiencies, ultimately leading to more equitable education systems and contribution to the attainment of the SDG 10: Reduce inequality within and among countries. The ETPS also emphasises strengthening the capacities of the bank’s BMCs to improve governance in education and training systems in such a way that the quality and implementation of policies, strategies and plans are enhanced. Such strengthening will enable better monitoring and evaluation of the system and enhance knowledge of teaching and learning processes, understanding of linkages to labour markets, and the development and implementation of programmes, based on data and evidence. The ETPS will promote gender equality through and in education systems; a culture of lifelong learning in BMCs as well as within CDB; and stronger partnerships for improved outcomes in education. Best also noted that the policy and strategy is aligned with the Regional 2030 HRD Strategy, developed under the leadership of CARICOM with financing from CDB. “The bank is currently playing a pivotal role in the development of the Regional 2030 HRD Strategy and will complement this regional policy by continuing to invest in universal education to close gaps in the quality of its delivery and align human capital development policies with changing national and regional demand for skills,” Best said. The new ETPS builds on the lessons learned through the implementation of the previous version, which was approved in 2004. It was developed in consultation with stakeholders, including the bank’s BMCs and development partners.